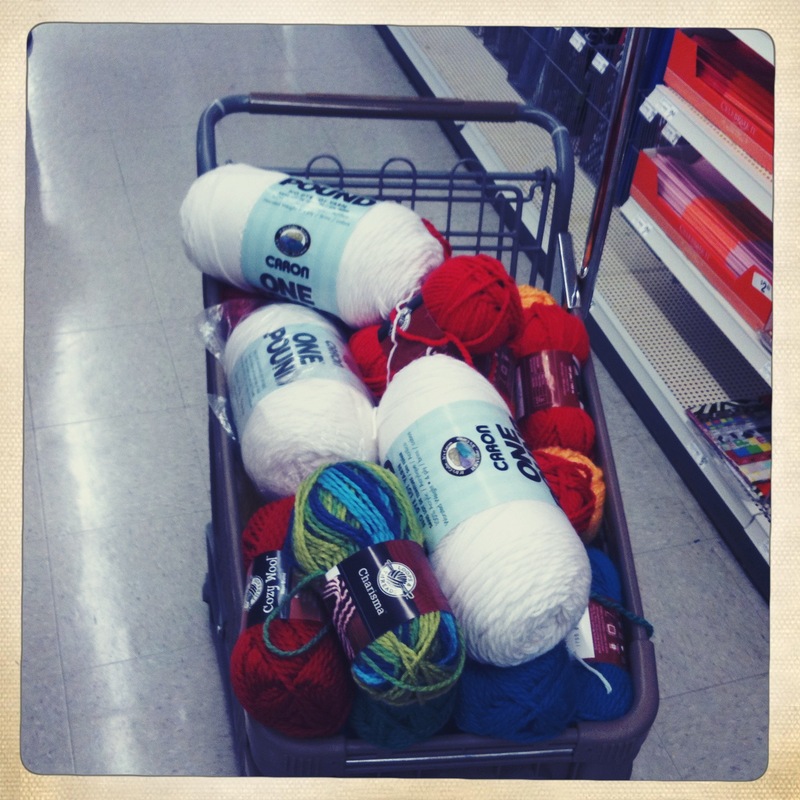 here is our first purchase of supplies. many were donated too. my entire guest bed is now covered in skeins of yarn, both vintage and new. This entry was posted in Uncategorized by brigflood. Bookmark the permalink.